Hurry over to get this Instant Pot 6 Qt 7-in-1 Multi-Use Programmable Pressure Cooker for $69.99 shipped (Retail $99.95). Instant Pot is a smart Electric Pressure Cooker designed by Canadians aiming to be Safe, Convenient and Dependable. It speeds up cooking by 2~6 times using up to 70% less energy and, above all, produces nutritious healthy food in a convenient and consistent fashion. 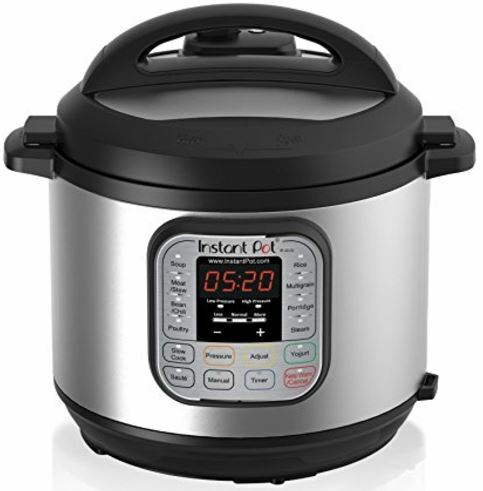 Instant Pot Duo is a 7-in-1 programmable cooker, it replaces 7 kitchen appliances as it has the functions of a pressure cooker, slow cooker, rice cooker, steamer, sauté, yogurt maker & warmer. This is valid today only while supplies last.